Electronic USB and Bluetooth Chess is the most enjoyable product is a chess enthusiast could have. 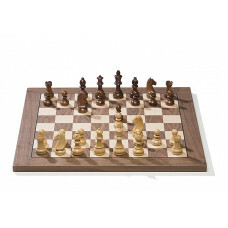 Wonderfully simple and of the highest possible quality, ideal for home use, club or school. 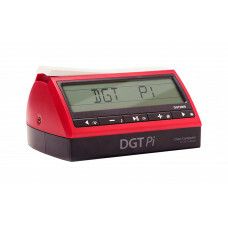 Connect a USB cable to the PC or wirelessly via Bluetooth and start. 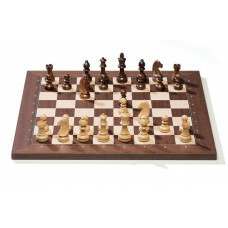 Or challenge yourself by challenging the computer Revelation II! 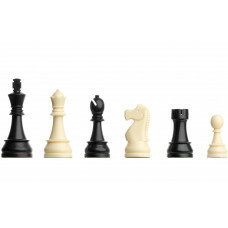 All you need to learn and play, AN 10876 / This Chess Starter Box includes a double folded chess board, high quality weighted Plastic Chess Pieces with King he.. 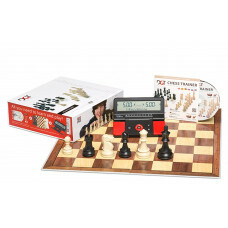 The Smart Board can be used in many different ways, AN 11005 / The DGT Smart Board is the latest addition to DGT range of electronic chess boards. 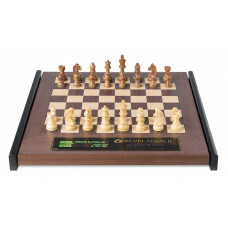 It was speci..
DGT Chess e-pieces to DGT Smart board, AN 11007 / The Electronic Plastic Chess Pieces are designed to be more affordable. 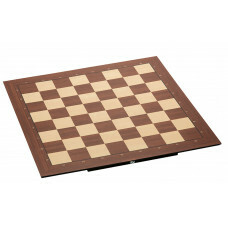 Made from high quality, sturdy plast..
E-board of Walnut with e-pieces of Boxwood natural and black stained, AN 89441 / The innovative Bluetooth DGT e-Board connects wirelessly to the computer bring..
E-board of Walnut with e-pieces of Sheesham and Boxwood, AN 89439 / The innovative Bluetooth DGT e-Board connects wirelessly to the computer bringing you the b..
E-board of Walnut with e-pieces of Rosewood and Boxwood, AN 89440 / The innovative Bluetooth DGT e-Board connects wirelessly to the computer bringing you the b..
E-board of Walnut with e-pieces of Ebony and Boxwood, AN 89485 / The innovative Bluetooth DGT e-Board connects wirelessly to the computer bringing you the best..
E-board with chess notation of Rosewood with e-pieces of Boxwood natural and black stained, AN 89341 / The innovative Bluetooth DGT e-Board connects wirelessly..
E-board with chess notation of Rosewood with e-pieces of Sheesham and Boxwood, AN 89339 / The innovative Bluetooth DGT e-Board connects wirelessly to the compu..
E-board with chess notation of Rosewood with e-pieces of Rosewood and Boxwood, AN 89340 / The innovative Bluetooth DGT e-Board connects wirelessly to the compu..
E-board with chess notation of Rosewood with e-pieces of Ebony and Boxwood, AN 89385 / The innovative Bluetooth DGT e-Board connects wirelessly to the computer.. 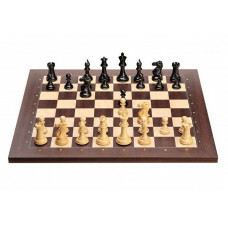 Revelation II with e-pieces of Boxwood natural and black stained, AN 10114 / Designed for your ultimate chess playing experience Revelation II is the perfect c.. 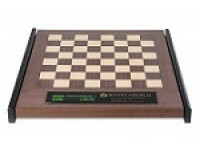 Revelation II with e-pieces in Sheesham and Boxwood, AN 10913 / Designed for your ultimate chess playing experience Revelation II is the perfect combination of.. Revelation II with e-pieces in Rosewood and Boxwood, AN 10014 / Designed for your ultimate chess playing experience Revelation II is the perfect combination of.. 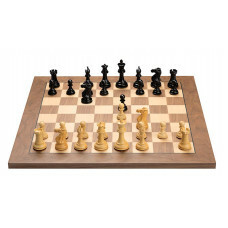 Revelation II with e-pieces in Ebony and Boxwood, AN 10857 / Designed for your ultimate chess playing experience Revelation II is the perfect combination of a ..